Participants in SalesCamp referral programs (i.e. Referrers) can now set up their direct payment destination directly in their SalesCamp Referrer Dashboard thanks to our new Stripe Express integration. Here you will fill in your personal/business information which is required by Stripe, the payment processor we use to distribute payments from SalesCamp account holders to Referrers. Each of the items with an * is mandatory per Stripe's requirements. Once you have entered all of the information you will click the Save Account Information button. 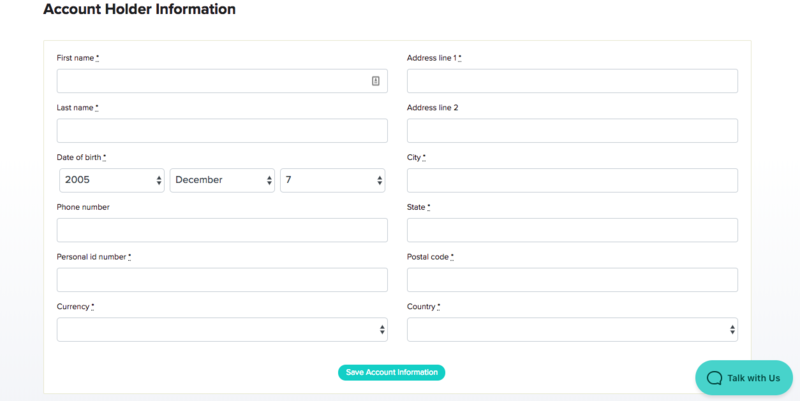 After account verification is complete you can enter the bank account details of the account into which you would like your Referral Payouts to be deposited. To do this enter your bank's name and the routing/account numbers for your bank account. Once this has been successfully submitted you will receive a message that a virtual card has been created in the payouts system. This is your queue that your payout details have all been successfully created.